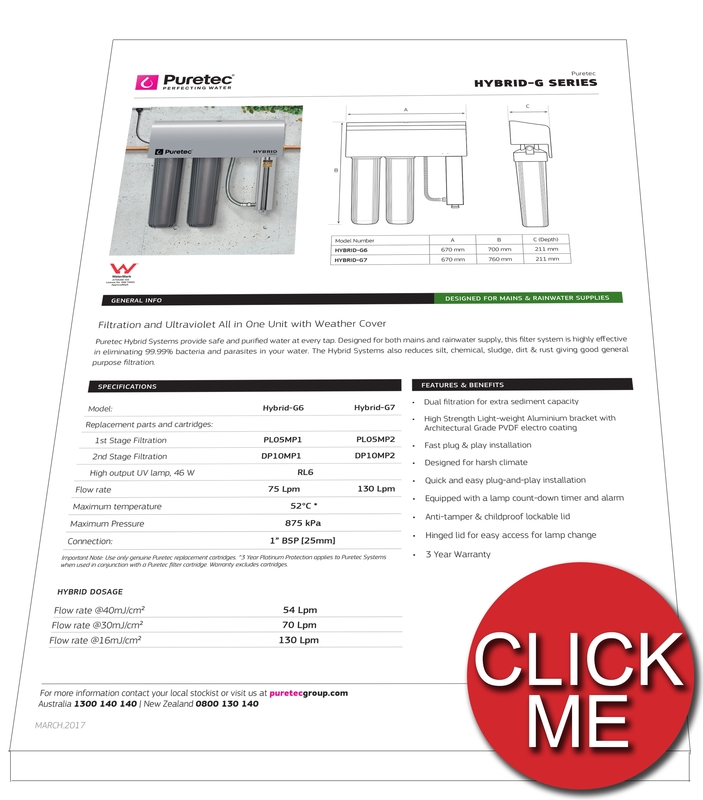 With this Puretec Rain Water to Drinking water Hybrid G7 Filtration and Ultra Violet all in one unit you can now make the best use of your captured rain water. Instead of just using your rain water for bathroom and outdoor uses you can further reduce your impact on the environment by using it just like you would use standard town water! Featuring a revolutionary UV water treatment system that kills 99.9% of bacteria, the Puretec Rain Water to Drinking water Hybrid G7 Filtration unit will transform your kitchen drinking water. With this Puretec Rain Water to Drinking water Hybrid G7 Filtration and Ultra Violet all-in-one unit you can now make the best use of your captured rainwater. This means that instead of just using your rain water to water the garden or flush the toilets you can further reduce your impact on the environment by using it just like you would use standard town water. Featuring a revolutionary UV water treatment system that kills 99.9% of bacteria! With this Puretec Hybrid G7 mains and rainwater to drinking water system you can do away with individual units throughout your home, this one unit will purify all your water to ensure your family's peace of mind. Anti-Tamper / Childproof lockable lid - The lockable lid will give you peace of mind. 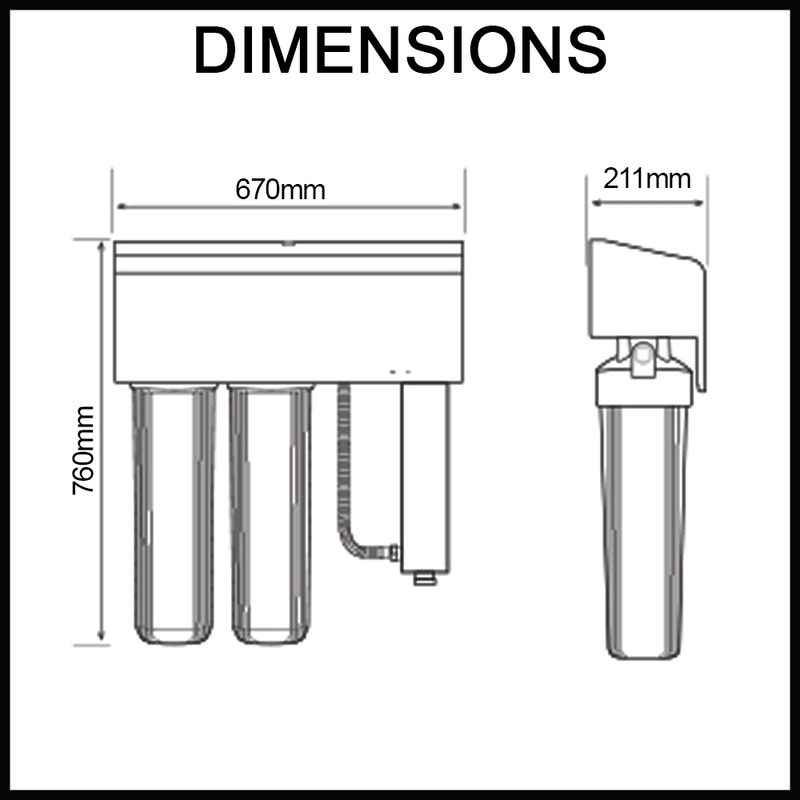 Important Note: Use only genuine Puretec replacement cartridges. 3-Year Platinum Protection applies to Puretec Systems when used in conjunction with a Puretec filter cartridge. Warranty excludes cartridges.